12:41pm EST - The server and client update are live! 12:36pm EST - The devblog hit a bit early today... looks like maybe an early update, too! 11:30am EST - It is Thursday, so you all know what that means: Update time! We’re not seeing a ton of new content this week as much of the team's focus has been on the XP system. That said, there are several changes of note. Andre has continued tweaking some things with the decay system. Certain deployables like boxes will now decay over time, with their decay timer being reset when opened. 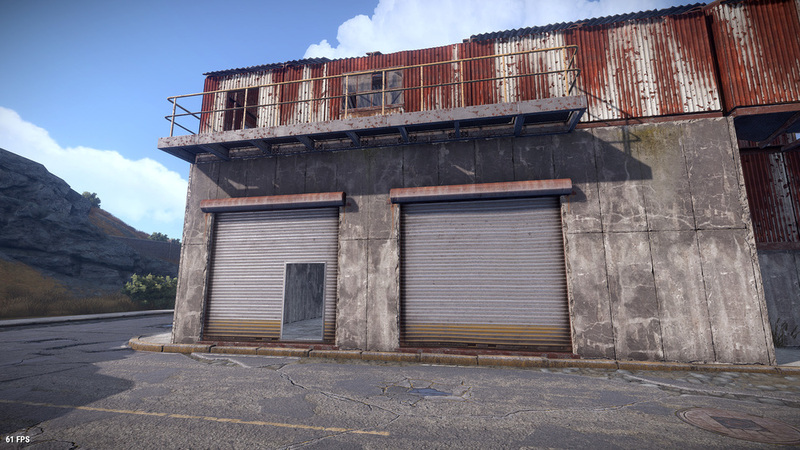 Doors also now only reset decay on building blocks that belong to the same building (although unique building ID is not yet being recalculated when foundations are separated). Our beloved PvP map, Savas, has been having some issues as of late. With various world objects flipped around, getting loot from crates has been impossible in some cases. Thankfully, these placement errors have been resolved with the update today. Mowing people down with multiple waterpipes on your hotbar is getting a bit harder - Minh has tweaked the deploy animation on the waterpipe shotgun, slowing it down to make it harder for people to hotswap between (it now takes about 1 second longer). Alex has continued his work on the new aim throwing system for tools and weapons, setting it up for the machete and salvaged sword. It doesn’t look like this will make it in this week yet as there are still a couple objects for this to be applied on. Andre has been working on several things related to networking. Long and short: hit detection should be improved and projectiles now have lag compensation (clearing up some long standing warnings in the server console). Alex has made some great progress on the music arrangement system he mentioned in last weeks devblog. Expect more from him on this when the devblog hits today. After a rough start earlier in the week, the prerelease branch has stabilized a bit, actually allowing people to play for more than a few moments before crashing. After playing for several hours yesterday, I’m happy to report the new XP system is coming along nicely. I highly recommend giving it a shot if you haven’t already. To do so, simply opt your client into the ‘prerelease’ branch and join a server. Also, if your game is crashing, try adding this to your launch parameters (I haven’t crashed since). Edit: Looks like the crashing issue has been resolved, no need for launch parameters!